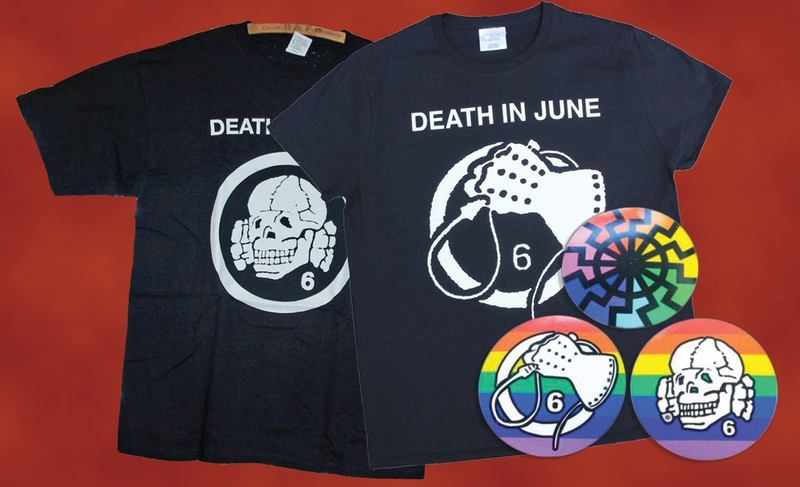 Death in June merch, image from Soleilmoon.com. A record label headquartered on Northeast Portland’s Alberta Street has been declared a racist organization by the nation’s leading watchdog of white-supremacist and hate groups. On Feb. 15, the Southern Poverty Law Center listed Soleilmoon Recordings among 25 new hate groups across the United States. Owned and operated by Charles Powne, Soleilmoon is a nearly 30-year-old “boutique” label that sells what Powne calls “dark industrial ambient” music, mostly via mail order. Its mailing address is a post-office box located between brunch spot Helser’s and Alberta Co-op Grocery. And its top-selling product is the music of an alleged neo-Nazi band from England. Powne says he’s “mystified” by the hate-group listing. “The solution to bad speech is not to shut it down, but to overcome it with more speech,” he says. The designation revives concerns about the white-power movement in Oregon, which constitutes seven of state’s 11 hate groups, according to the SPLC. It also raises questions about creative freedom, free speech and guilt by association. The election of President Donald Trump has emboldened white-nationalist groups across the U.S., and sharpened their opposition. The SPLC, based in Montgomery, Ala., tracks racist groups and hate attacks. It recorded 42 hate incidents in Oregon in the month following the Nov. 8 election. But conservative critics have accused the SPLC of political overreach, and of demonizing unpopular speech. The group’s release of new hate-group listings comes as college campuses and conservative organizations argue over how large a platform to afford racist provocateurs like Milo Yiannopoulos. Soleilmoon Recordings sells MP3s, CDs, vinyl records and T-shirts of 123 artists, including Throbbing Gristle, the Legendary Pink Dots and Merzbow. But it’s music that critics have identified for years as neo-Nazi that pays the bills. Powne says Soleilmoon brings in more than $100,000 a year, and Death in June—the controversial, far-right project of British neo-fascist Douglas Pearce—is its top-selling artist. Death in June refers to the Night of the Long Knives in 1934, when Adolf Hitler ordered the murder of his political rivals within the Nazi Party. The band employs a wide range of fascist and Nazi imagery, such as wearing Waffen-SS uniforms onstage. On Death in June’s official website, Soleilmoon is listed as the band’s official distributor. Death in June accounted for more than half the label’s digital sales, and moved “a couple thousand” units last year. The SPLC says Death in June is the main reason for Soleilmoon’s hate-group listing. Read the rest of the story at wweek.com.